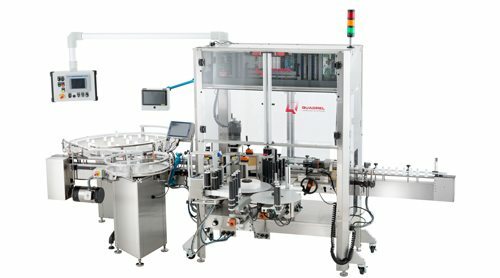 Quadrel’s pharmaceutical grade labeling machines feature full validation package, high speed servo driven label applicators, Allen Bradley PLC, color touchscreen HMI and vision system. This technically advanced vial and ampule labeler is serialization-ready, designed specifically for the needs of tier 1 pharmaceutical companies. Features include laser imprinting of date and lot codes, vision system and full validation package. Additional features include Allen Bradley PLC control, PanelView color touchscreen, servo driven applicators. 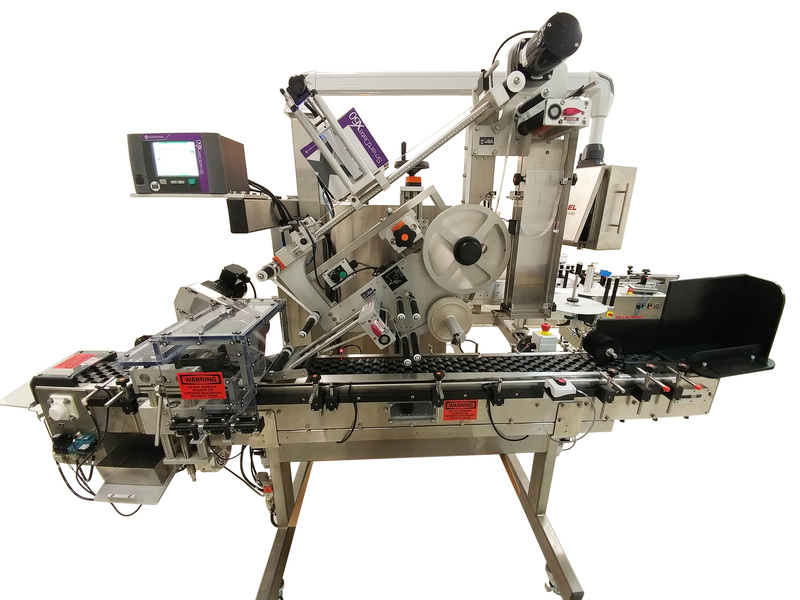 This is Quadrel’s premium inline pharmaceutical labeling system and features environmentally protected overhead controls, full vision system, Allen Bradley PLC, PanelView color touchscreen, as well as servo driven applicators and product handling. Additional features include internationally compliant guarding and stainless steel construction. 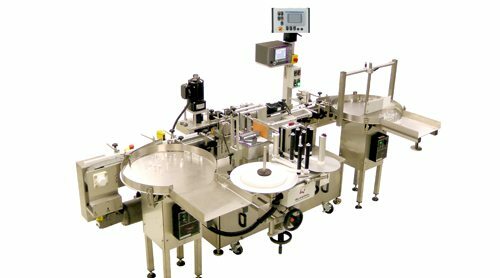 This custom pharmaceutical labeling system features rotary infeed tray and product accumulation system. It is designed specifically for small diameter glass vials and ampules at speeds up to 300 products per minute. Additional features include full vision system, Allen Bradley PLC control, PanelView color touchscreen and validation package. This custom horizontal wraparound labeling system has been designed specifically for use with pharmaceutical syringes. It is also capable of labeling unstable, small diameter vials and ampules. The speed rating on this system is up to 300ppm depending on product. 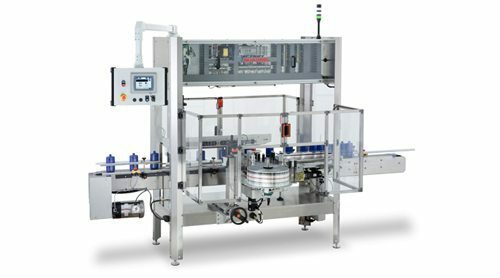 This system is available with full validation as well as a serialization package generally specified by tier one and tier two pharmaceutical manufacturers. Additional features include Allen Bradley Compact or Control Logix PLC, Panelview color touchscreen HMI, Servo driven label drive, Markem or Video jet thermal transfer printer and full vision system with eject. This is a custom table top horizontal labeling system for syringes. It is also capable of labeling other pharmaceutical products such as vials and ampules. 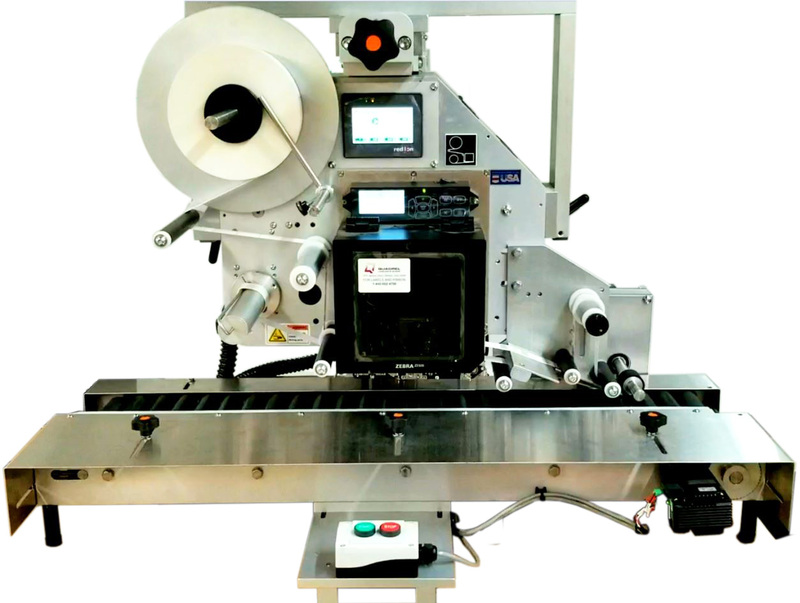 This is a hand loaded system features on-demand thermal transfer printing allowing its use with blank labels. This system was designed specifically for use in compounding, testing or R & D facilities. Speed capability is limited due to hand loading. Rates are usually 20 to 30 ppm.